Are early payment discounts truly as good as they sound? 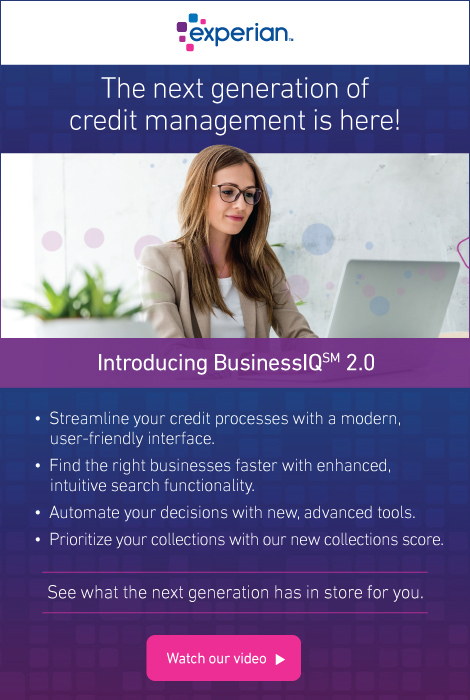 Is it really possible for credit managers to walk away from a business-to-business transaction feeling confident about a fast, yet efficient payment process? The short answer is yes, but there are some elements credit managers should understand when handling early payment discounts to ensure the amenity is as effective as possible. According to NACM’s Principles of Business Credit, “A cash discount is calculated from the invoice amount if the customer pays within a specified period of time,” referred to as the discount period. Generally, the discount is shown as a percentage, such as terms of 1% 10 net 30. In this example, the buyer can take 1% off the invoice total if the payment is made within 10 days. If payment is not received within those 10 days, the buyer forfeits the discount and must pay the full invoice amount. Over the past decade, credit professional Kimberly Wagenman, CBA, said she has handled many customer accounts, providing discounts to early payers. Wagenman is the credit and collections manager at Cascade Orthopedic Supply, Inc. and OrtoPed, ULC in Chico, California, where she said the majority of older accounts are offered early payment discounts that are set in place by the sales team. However, she explained, it is the credit department that monitors which customers take the discounts and when they are used. Early payment discounts are a benefit to both the credit team and the customer, Wagenman said. Not only do discounts motivate customers to pay their bills on time, but they can also serve as a negotiation tactic to collect more money from a customer when they are on the phone processing payment. Wagenman noted it is “often a fight to get customers to pay late discounts” because it can become a no-win situation. If the credit department doesn’t allow it, the customer may complain to sales who may then convert the terms discount to a line item discount. In this case, which Wagenman has experienced, the customer then doesn’t have to pay within terms to receive the additional discount. However, if the credit department allows late discounts, then the whole purpose of terms discounts is defeated. Early Bird Deadline is Tomorrow—Register Now and Save! Visit www.nacm.org to learn more and register for classes. When extending credit to a customer in the construction industry, beyond the credit application, credit managers also need to be mindful of critical job information. Just as creditors give new customers a credit application before extending credit for the first time, job information needs to be gathered for each of the customer’s projects. Should there be a dispute in terms of payment in the future, a creditor can take legal action by filing a lien on the property. Gathering job information has its challenges, such as distinguishing between public and private jobs or leasehold liens and traditional liens. But obtaining the correct information can be the difference between collecting potentially hundreds of thousands of dollars or recovering none of the debt. Jameson suggests creditors gather job information before they even extend credit to the customer. A job sheet—which NACM members can find on the Secured Transaction Services website—is only a single page; it can provide leverage for a creditor early on. Demanding job information before extending credit instills a sense of professionalism and due diligence, which will encourage a customer to pay. But receiving the information only accounts for part of the task. Verifying the information is just as crucial. If a customer returns a job information sheet with incorrect information, the creditor can be at risk for filing an invalid lien. Filing with incorrect information, such as a misspelled name or an incorrect address, in many states, means the creditor will not be able to lien on a piece of property and no debt will be recovered. Creditors can verify information by looking through public records, double checking with the customer and other parties on the project, scrolling through the customer’s website, etc.—be sure to verify information in a timely manner. To learn more about job information, stop by NACM Commercial Services’ Credit Education Roadshow. Chris Ring of NACM Secured Transactions Services will be giving a presentation on job information in Garden Grove, California, on April 15; Sacramento, California, on April 16; and Las Vegas, Nevada, on April 17. Visit the NACM STS website for more information. Aurora, Colorado, May 19-22, 2019. Credit Congress offers more than 60 compelling and timely educational sessions, ranging from the fundamentals to more advanced, challenging subjects. Based on your experience, interests and goals, tailor a conference agenda that affords the greatest return to you and your company. Read our session descriptions today and start building your personal Credit Congress agenda. For education AND networking, it doesn't get any bigger and better than NACM's Credit Congress & Expo! 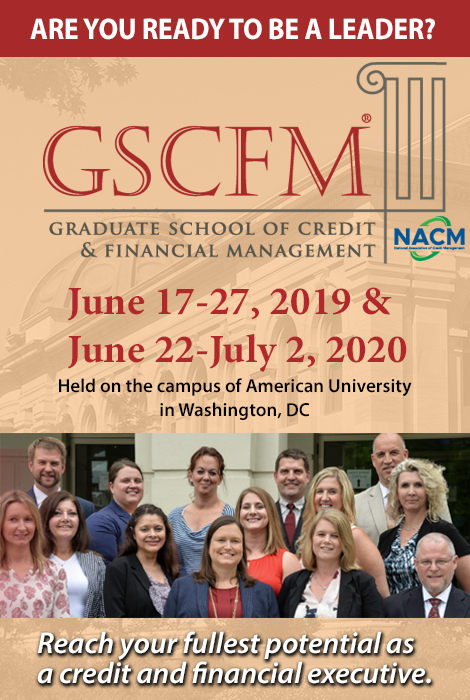 Please visit creditcongress.nacm.org for more information and to register. Team discounts (5 or more) are also available for larger member companies. Timeframes are imperative on construction projects. Ground-breaking events, actual start dates of the construction project, etc. are all important, but delivery dates and completion of the project are in a league of their own during the building process. Delivery (first and last furnishing) and completion dates are of vital importance to those parties lower in the supply chain of the overall project—often sub-subcontractors and material suppliers. Knowing the specific dates of delivery is one of the basic data points needed for becoming a secured creditor. Completion dates are also important for material suppliers and others to follow as they can reduce the amount of time a party has to file a lien against the property. If a notice of completion is filed, the time a claimant has to perfect a lien in Nevada is reduced to “within 40 days after the recording of a valid notice of completion,” according to state law. This may come in handy for those working on the nearly $2 billion Las Vegas Stadium, which is expected to be ready for the start of the 2020 NFL season. Concerns were raised last month after it was reported the substantial completion date was moved from July 31, 2020, to Aug. 4, 2020, according to the Review-Journal. However, Las Vegas Stadium Co. Chief Operating Officer Don Webb said in the article, the schedule still shows July 31. The delivery of steel products has also been delayed at the construction site, yet work continues as contractors dedicate attention to other projects while they wait for the delivery. A steel subcontractor from Wisconsin has also filed a mechanic’s lien against the project’s general contractor, a joint venture between Mortenson Construction and McCarthy Building Companies (Mortenson-McCarthy). “Without editorializing too much, our steel fabricator who filed that lien has been paid every dollar that they’ve ever billed, so that’s very curious and unusual in my experience,” Webb said. “Typically, a lien is filed after you’ve exhausted other remedies to collect that which you are owed.” Mortenson-McCarthy issued a payment bond to avoid other delays. Nevada, like other states, has different lien and bond laws depending on the type of project (private vs. public). Different requirements are also laid out within the statute, and bonds are not required if the contract is less than $100,000. While there are similarities, with both private and public jobs requiring notices, the timelines are different. A notice is required within 31 days of first furnishing for lien claimants. Meanwhile, public projects require a bond claim notice within 30 days of first furnishing. Subsequent guidelines spelled out in statute also differ as material suppliers and others waiting for payment look to become secured. Chris Ring of NACM’s Secured Transaction Services will be in Las Vegas April 17 to discuss Nevada construction law on the final stop of his Construction Credit Education Roadshow. Learn more on NACM’s STS website. Make sure you understand them well enough to know what it is. A company’s financial condition is of primary concern to creditors. Credit professionals use financial statements to gauge conditions for both the safety and profitability of their investments. A new Financial Statement Analysis 1 course is now available in the Credit Learning Center. Improve your ability to assess creditworthiness through analysis of financial statements. Drive your results through expanded knowledge and expertise. United States ex rel. Am. Civ. Constr., LLC v. Hirani Eng’g & Land Surveying, P.C., 2018 U.S. Dist. LEXIS 200829 (D.D.C. Nov. 28, 2018). The case involved the construction of a levee wall on the National Mall in Washington, DC. In September 2010, the Army Corps of Engineers awarded Hirani Engineering & Land Surveying, P.C. (“Hirani”) the prime contract for the project. Hirani’s surety was Colonial Surety Company (“Colonial”). Hirani subcontracted the majority of the work to American Civil Construction, LLC (“ACC”). Following a series of disputes and project delays, the Army Corps of Engineers terminated Hirani. ACC then filed suit in the United States District Court for the District of Columbia seeking over $2 million in damages under the Miller Act as well as state law for breach of contract. After a bench trial, the court entered judgment in favor of ACC. R. Zachary Torres-Fowler, Esq., is an associate in the Construction Practice Group of Pepper Hamilton LLP. Torres-Fowler concentrates his practice in construction-related disputes and has extensive experience in domestic and international arbitration matters arising from projects located around the world. He represents owners, EPC contractors and equipment manufacturers in disputes arising from a wide variety of construction projects, including power plants, airports, commercial buildings and other civil infrastructure works. Spend time with STS’s Chris Ring as he presents during the Credit Education Roadshow, a one-day event held at multiple locations, designed to provide educational and networking opportunities for the Credit Team. Bring your colleagues and join Chris for a fun-filled day of education and networking! To learn more, call Chris Ring at 410-302-0767 or visit nacmsts.com. View and subscribe to the NACM Blog.